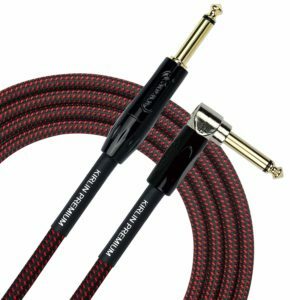 Guitar cables are a controversial subject when it comes to music gear. A good quality, durable, and reliable instrument cable is important. 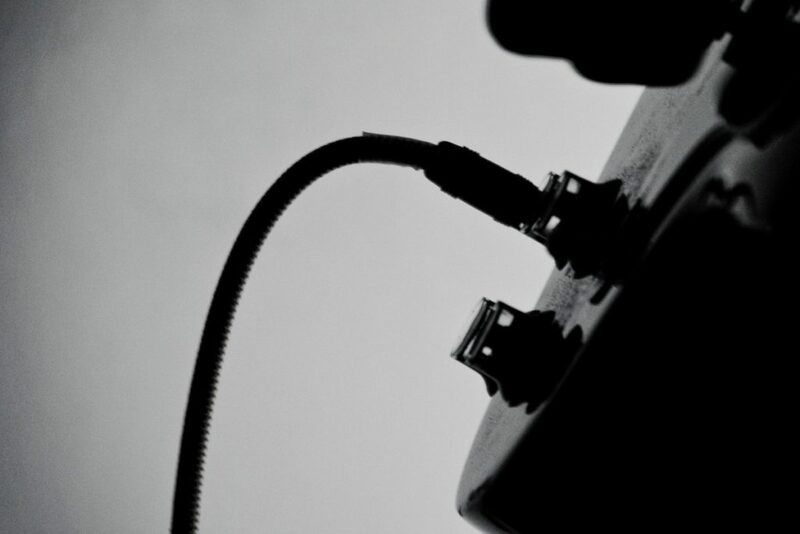 However, many cables are overpriced and boast changes in sound quality that can’t really be noticed. Although, many higher priced cables provide a lifetime warranty, meaning if you break it they will replace it for free. So my goal with this article was to cover cables that provide a good balance of build quality with affordability. 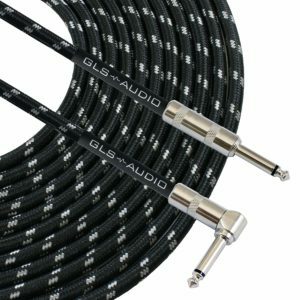 GLS Audio has been a big name in the world of cables for quite a while. Their cables are very affordable but still quality made. The GLS tweed cables are some of the most durable cables at this price point. Great included warranty for these cables as well. These cables are an awesome option for the price! Kirlin cables are another great option for cheap guitar cables. These cables are built to last and come with a lifetime warranty. Kirlin is a lesser known cable manufacturer but their products are making a name for themselves. Again I went for the tweed option for these cables, which will be a little more durable and rigidly flexible. Definitely, worth picking up a couple of these cables. 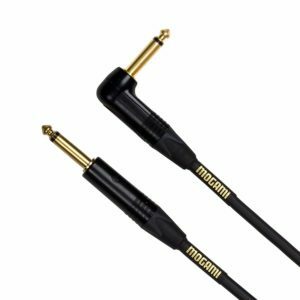 For a more premium option be sure to check out Mogami gold cables. These are some of the most high-quality cables out there and their lifetime warranty is unbeatable. Break a cable and you can have it replaced for free, no questions asked. If you are an audio purist or just want to own a quality cable for the rest of your life, Mogami cables are unbeatable! Thanks for reading! Hope these guitar cable recommendations are useful to someone out there.